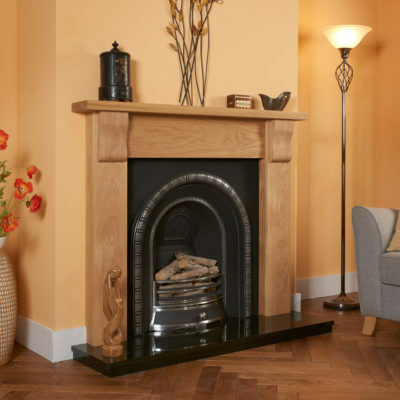 Our range of oak fire surrounds have been combined with a number of different cast iron insets defining character and eye-catching combinations for Gas, solid fuel and electric fires, creating a fantastic range of oak fireplace packages. 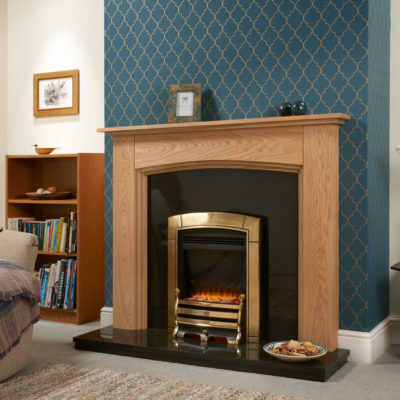 These cast iron inserts bring out all of the character showcased in our range of wooden fireplaces adding stunning, intricate iron work to your new foacl point. 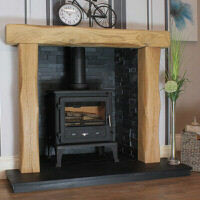 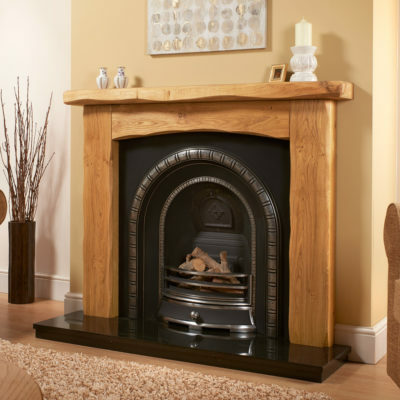 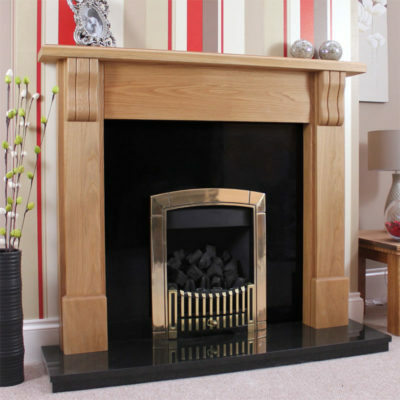 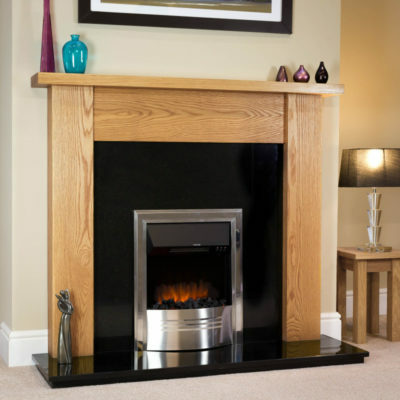 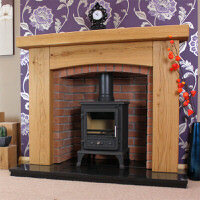 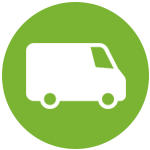 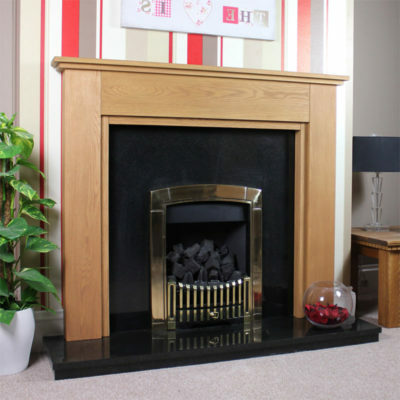 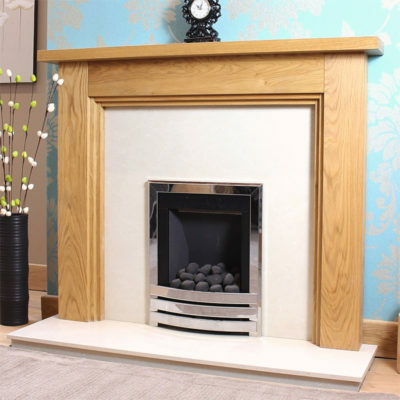 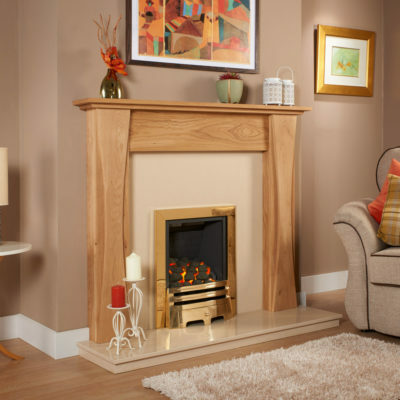 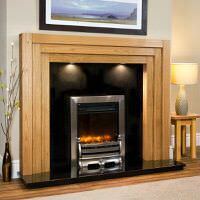 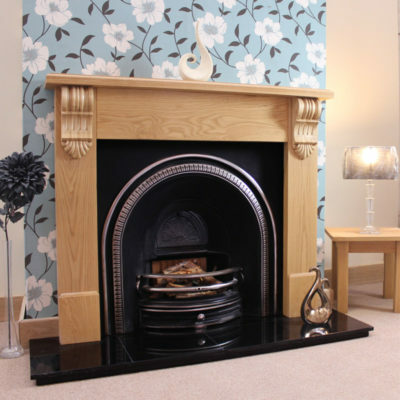 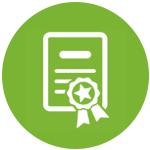 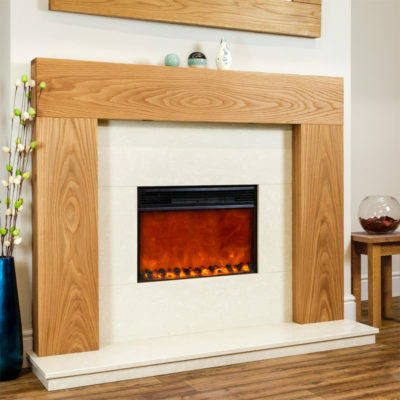 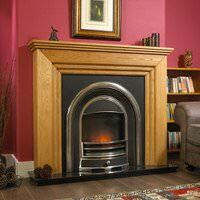 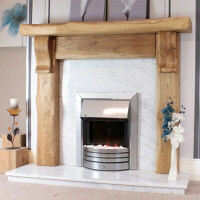 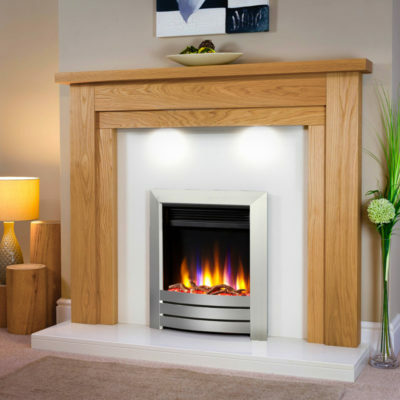 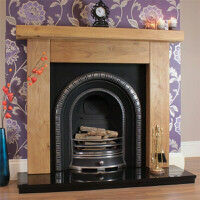 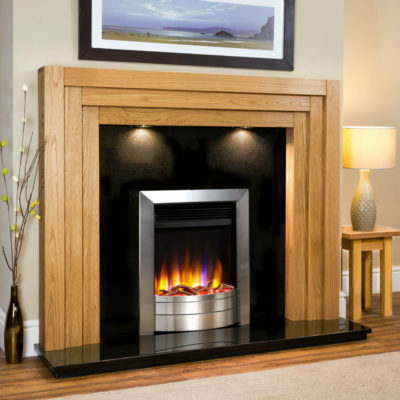 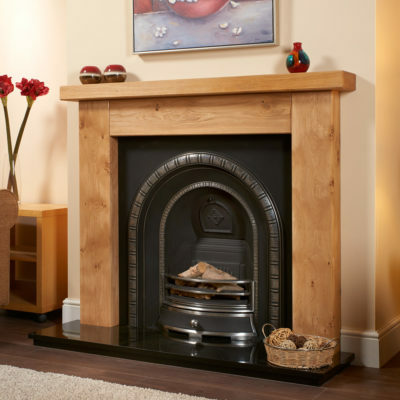 Call our office Mick, Danny or Pete will be happy to assist you in choosing an oak fire surround, wooden fireplace package or cast iron insert to match your home and will guide you through the measurements required when buying a new fireplace.